Some Like It Hot reflected a standard of style that influenced high end resort entertainment and attitude for entertainment distinctly American. Jack Lemmon was one of the best liked clients to work for. The Lemmons knew how to throw a party. 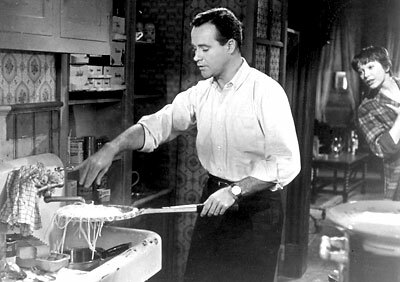 One of the funniest kitchen scenes ever filmed is Jack Lemmon straining cooked pasta over a tennis racket. Happily, Dora was not asked over the years in staffing his homes, to find him a chef or a cook with such skills, although we would have promptly done so.